Indonesia urged not to execute Brazilian Rodrigo Gularte, who has been diagnosed as mentally ill.
Gularte is due to face the firing squad for drug crimes alongside Australian Bali Nine pair Andrew Chan and Myuran Sukumaran. 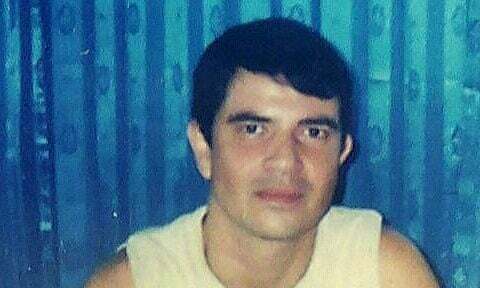 The family of a Brazilian man in line to be executed in Indonesia along with two Australian drug smugglers has appealed for a reprieve, saying he has been diagnosed as a paranoid schizophrenic who is delusional with psychotic tendencies. Rodrigo Gularte, 42, was sentenced to death in 2005 after he was caught smuggling 6kg of cocaine into Indonesia hidden inside surfboards. The Brazilian surfer is among 11 death row inmates, including the two Australians convicted for their part in the 2005 Bali Nine drug smuggling plot, and citizens of France, Ghana, Nigeria and the Philippines. All were due to be executed by firing squad this month. As diplomatic pressure has mounted and public outcry in Australia has grown, the executions have been postponed, but officials say the delay is only temporary. The Gularte family knows they are in a race against time to bring the details of their case to light. With no legal representation in court during his trial in 2005 – his lawyer took the money and ran – questions about Gularte’s mental stability are only just emerging. To his family, Gularte was a goodhearted but troubled teenager who started using drugs to treat his depression and ended up down the wrong path. After he was sentenced to death Gularte attempted suicide by self-immolation in his prison cell and his mental state has continued to deteriorate since. “Rodrigo is very sick and needs treatment,” his distressed cousin, Angelita Muxfeldt, told Guardian Australia, as she spread out a handful of medical reports by teams of psychologists and psychiatrists across the table. Last year the Gularte family, with the assistance of the Brazilian embassy, requested that his mental health be thoroughly examined. A group of specialists that conducted bi-monthly visits to the prison from July until November last year diagnosed Gularte with paranoid schizophrenia and recommended he be taken to hospital for immediate intensive treatment. The specialists described Gularte’s psychological condition as unstable and noted that he had become increasingly withdrawn and delusional, “leaving his room only to eat and go to the library” and was “observed talking to himself, and talking to the water pump”. A separate report by a different team of specialists this month confirmed Gularte has paranoid schizophrenia. For years the family has been trying to convince Gularte to seek outside treatment, but he refuses to acknowledge any illness and is unwilling to take medication. Detained at Nusa Kambangan, the maximum-security prison island off Java, Gularte is reportedly too scared to leave. During her visits, Muxfeldt said her cousin recounted surreal stories about being in contact with satellites, bombs at night and hearing different voices, including in African languages. One voice, she said, even told him the death penalty had been universally abolished. “He told me, ‘Oh, a voice came and told me last night that the death penalty is finished in Indonesia and all the world.’ And I said, no, Rodrigo, it’s not true, but he said I was lying,” Muxfeldt said. The Indonesian attorney general’s office said it had received a request from the head of Nusa Kambangan prison to have Gularte’s mental state examined in a hospital outside the prison and listed it as one of several reasons for the recent delay in executions. The Gularte family has submitted a comprehensive medical report to the Indonesian government and is praying it will be considered. Brazilian national Marco Archer Cardoso Moreira was executed in January and it is unclear how long the current delay will last. Gularte’s 70-year-old mother, Clarisse, is in Cilacap, the closest town to the island of Nusa Kambangan, where she is permitted to see her son twice a week, while Muxfeldt lobbies in Jakarta with the help of the Brazilian embassy. The Brazilian ambassador recalled following the death of Moreira has since returned, and president Dilma Rousseff is believed to have written to the Indonesian president, Joko Widodo, about the issue. Under Article 44 of the Indonesian penal code, a person who has a mental disorder cannot be sentenced for their criminal act and should be taken to hospital. The execution of a mentally ill person also runs contrary to international law. Indonesian human rights activist Haris Azhar urged the Indonesia government to look into the case, arguing that without legal representation for Gularte in 2005, “there is very valid evidence that law enforcement was conducted without any fulfilment of a fair trial”.